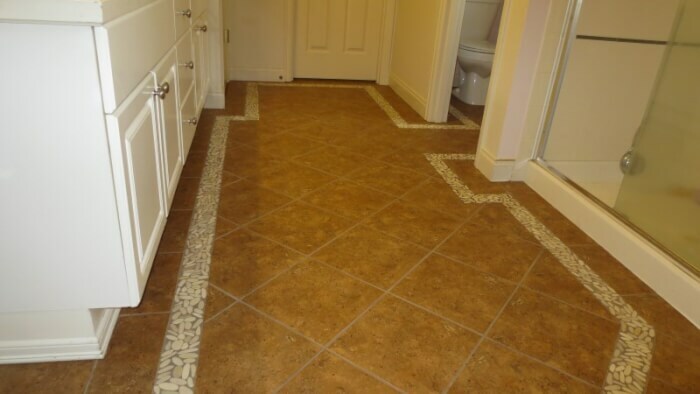 I just finished this tile bathroom floor in Sammamish Washington. 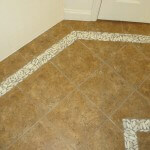 The tile is American Olean Vallano Milk Chocolate and the border is Tierra Sol Island level Pebble Timor White. 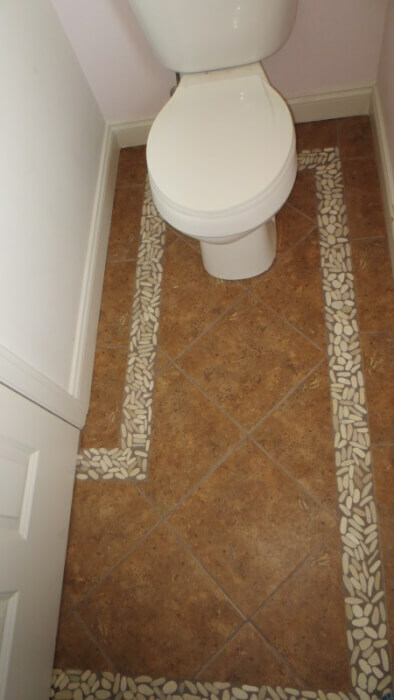 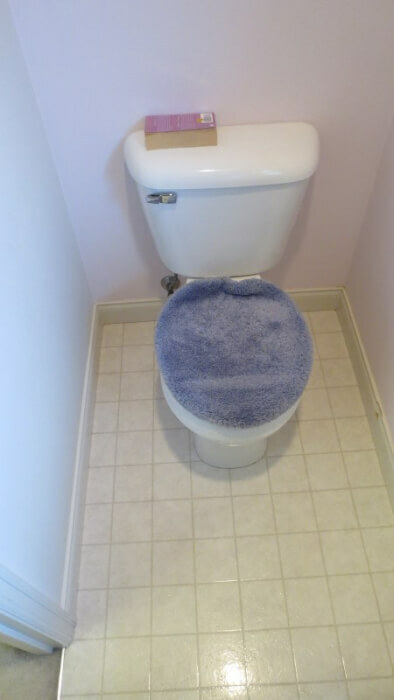 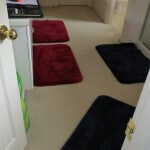 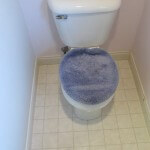 This bathroom originally had carpet throughout with vinyl flooring in the toilet closet. 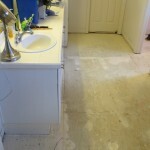 This was removed and ready to start preparing for the tile. 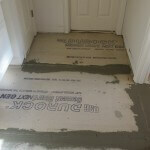 Durock cement board was first installed for this remodel. 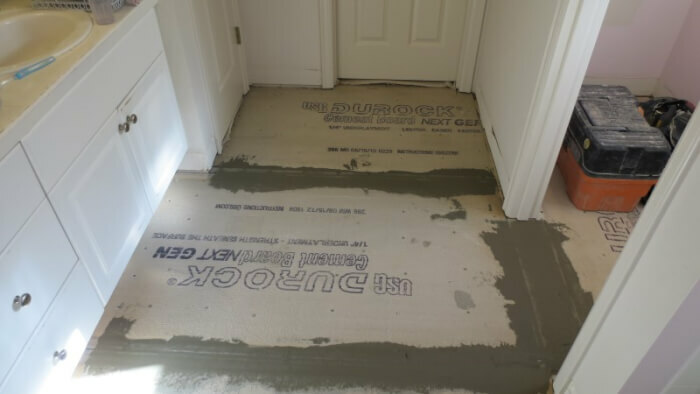 During the renovation the homeowners would need access to their closet. 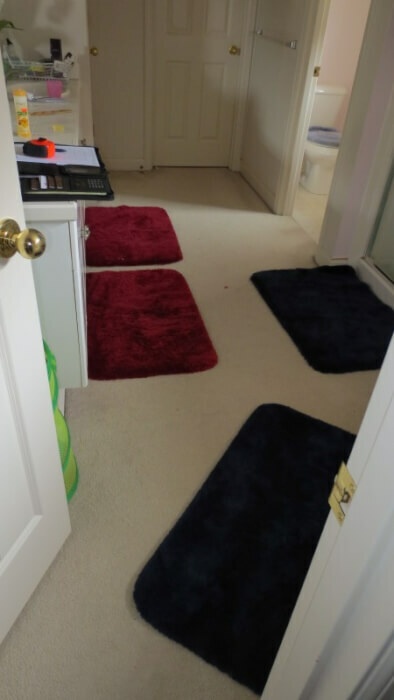 A path to the closet was always clearly outlined. 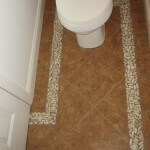 The pebble mosaic border consisted of what are called level pebbles- pebbles that are flat on the tops instead of rounded. 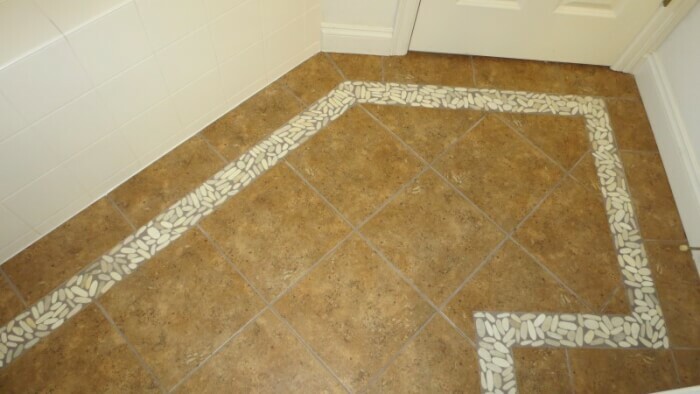 The grout was Laticrete Permacolor Hot Cocoa and the grout and pebbles were sealed with a clear sealer. 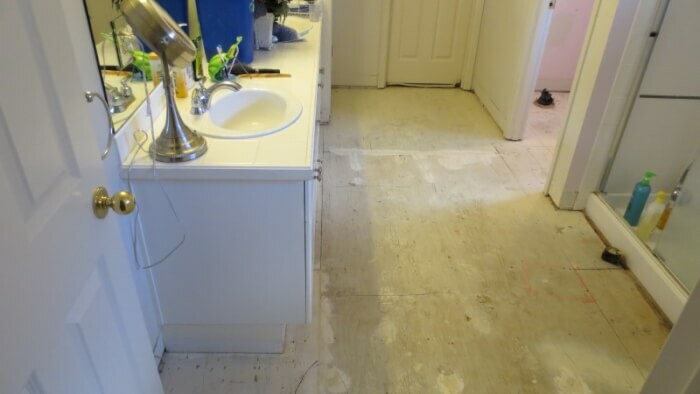 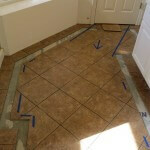 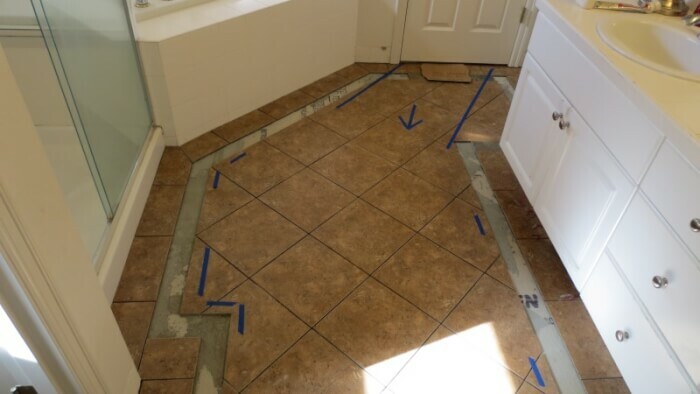 I was referred to this client by one of their Sammamish neighbors that I did a similar project for- tore out the old carpet and vinyl flooring in the bathroom and installed a new tile floor.